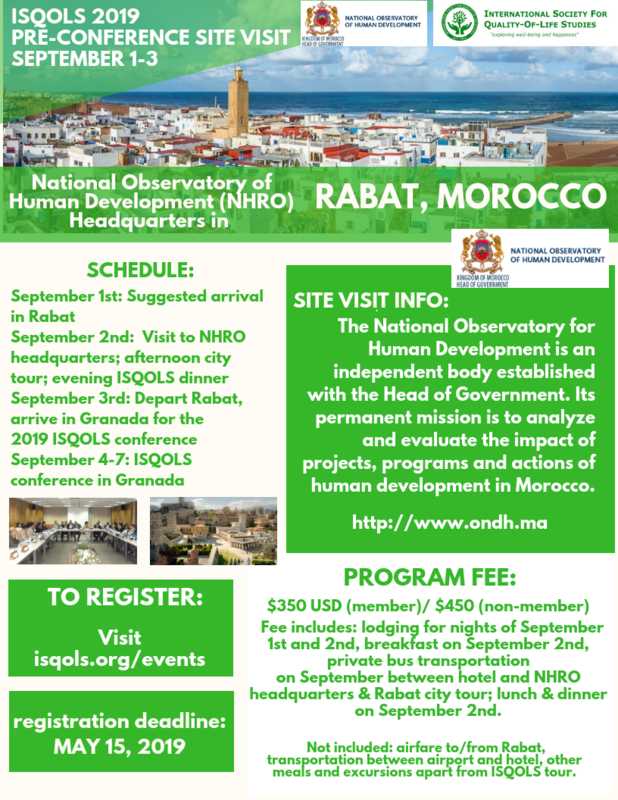 The International Society for Quality-of-Life Studies (ISQOLS) gratefully accepts offers from organizations/institutions to host pre-conference site visits. The host organization should ideally be located in close proximity to the conference location, and have a mission that shows demonstrated work in the advancement of quality-of-life, happiness, and wellbeing research. CLICK HERE TO REGISTER FOR THE PRE-CONFERENCE TRIP!